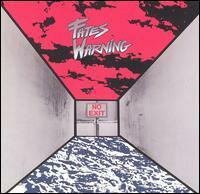 No Exit is the fourth album by the progressive metal group Fates Warning, released in 1988. Lyrically, No Exit proved a radical departure from Fates Warning's last three albums, as the album focused more on society and dreamscapes than the occult metal embraced by albums such as The Spectre Within and Awaken the Guardian. This album is the last by Fates Warning to feature Third Image cover art. It also marked the recorded debut of new vocalist Ray Alder. A reissue was released September 4, 2007, in celebration of Metal Blade Records' 25th anniversary. The reissue includes three bonus tracks, and a Bonus DVD. The album is conceivably the band's most popular; although it reached only #111 on the US Charts, it remained in the charts for thirteen weeks, longer than any of the band's other albums. The album title was inspired from 1944 play No Exit written by Jean-Paul Sartre .